Do yourself a favor. Download this audiobook and enjoy a double dose of Gothic atmosphere, delivered by the winning combination of the eerie writing by phenomenal author Daphne du Maurier, and narrated by the accomplished actor Jonathan Pryce. You won't regret it. Click here to listen to the audio sample. Philip Ashley, a young man just around the corner from turning twenty-five, has lost the one person in his life who was his only family. Ambrose, his older cousin and guardian, passed away while in Italy and Philip is now grief-stricken and confused. After all, how could Ambrose, a man who professed to be more suited to a life of solitude, fallen in love and gotten married? Who is the woman? With jealousy and fear, combined with paranoia, this Gothic novel satisfied every need for an unsettling tale as the air continues to get much cooler this autumn. Rachel, a cousin of Philip's from a distant line, was Ambrose's wife and the subject of many a letter from Ambrose to Philip during the time he spent away from the estate in England. While the letters initially express love, later letters describe something quite different about Rachel, ominous, deceptive, and perhaps even dangerous. Should Philip trust Ambrose's letters, which may have been written at the height of his illness, or should Philip instead believe that Rachel is a good and decent woman, who was very much in love with Philip's uncle? I read Rebecca by Du Maurier last year for the first time and promised myself I would read more of her work. Suspenseful and haunting, Du Maurier's work continues at a slow, yet consistent pace, building to those peak moments that reveal startling sadness and events that require you to read slowly, to appreciate, or rather to savor, each word. With Jonathan Pryce's rich and warm voice expertly narrating events, I was easily hooked to this Gothic tale of love, deception, and misunderstandings, all set on a sprawling estate that will immediately pass to Philip once he reaches his twenty-fifth birthday. Du Maurier always maintains the unreliable narrator, the main character frustratingly naive. In My Cousin Rachel, Philip is so annoyingly innocent about women that I wanted to slap him. How could he be so blind? How could he so stupidly trust the wrong people? But, Du Maurier trips you again, because even as I wanted to yell at Philip, I started to feel unsettled, questioning whether or not he was right, and I, the all-knowing reader, was somehow wrong... Philip certainly has led his life similarly to Ambrose's, sequestered and unsociable, his friends limited to the few who are the children of those who have provided a service to the Ashley estate, so there shouldn't be a surprise to how he reacts when he first meets Rachel, and subsequently gets to know her better. The confusion he feels, the emotions he falls victim to! Argh! You might utter proclamations of annoyance, you might throw your hands up in the air! You might. I did. But, as I do with most Gothic installments in my reading background, I enjoyed every moment. This journey the reader experiences is key to My Cousin Rachel and to Du Maurier's signature style, so mind your patience, as the story is a good one and worth it to experience. At the risk of sounding abject, I would also suggest this could be the "prequel" to Rebecca, granted with a few characters moved around. With a little research, I found I'm not the only one who compares both of these books as they have extremely similar images and settings, and it is of course, acutely atmospheric. 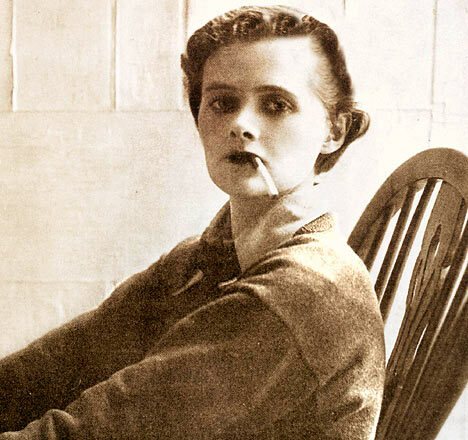 Du Maurier tends to love her wealthy and affluent main characters, recluses living by the cold and rainy coastline who don't have much experience in the ways of love or business. And I enjoy it every single time. The Gothic nature of this story satisfied me to no end. Jonathan Pryce is superb and will not disappoint; I certainly will continue to eagerly download his work in the future. Audio Notes: This was my first time listening to Jonathan Pryce, and as I've already mentioned, he is undeniably a master of delivering this story. With a voice quiet and haunting, Pryce narrates Philip's innocence and frustration, his helplessness and desire for more, so well that I found I made yet another excuse for more and more errands to do, places to go, just so I could continue to listen to the story. Pryce successfully captured each character distinctly, without confusion, and I'm happy to listen to him again. Daphne du Maurier was a British author and playwright, known for Rebecca, My Cousin Rachel, Jamaica Inn, Frenchman's Creek, and hundreds of short stories including the collection Daphne du Maurier's Classics of the Macabre, which feature The Birds, The Blue Lenses, and Don't Look Now. She was born in 1907 and passed in 1989. Her stories have been adapted for films, most memorably by Alfred Hitchcock for both The Birds and Don't Look Now. For a full bio of this incredible author, please click here. Jonathan Pryce is an accomplished Welsh actor of both the film and stage, with a career spanning forty years. 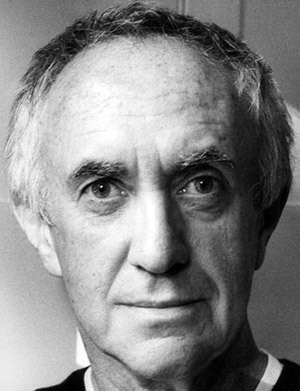 Most known for several outstanding acting pursuits in both England and the United States, including his Academy-award winning portrayal of The Engineer in Miss Saigon, Jonathan Pryce is also a popular audiobook narrator. Click here to review available selections on Audible.com. This is another selection for Carl's RIP event. For other participants' reviews, please click here. LOVE Jonathan Pryce! I actually read this one a few years ago and I adored it. So gothic and atmospheric and subtly creepy. DuMaurier has got it going on. Rebecca was fantastic, loved every moment of it. I actually thought romance like you so your review intrigued me enough to read it, it is a favourite now. This one sounds just as good. I liked how you wrote about Daphne's pace and taking the time to enjoy it. Loved this book. It definitely had a twist to it, and yes, she really is a masterful writer of suspense. Oooh, I really liked Rebecca and have been meaning to read more du Maurier since as well. 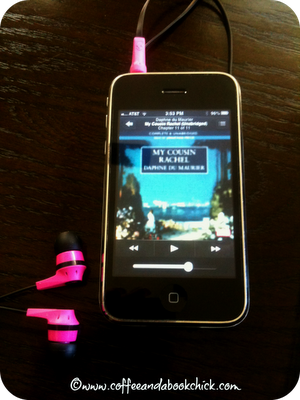 And, of course, I like me a good audiobook. I'll have to check it out! Sounds good. I must try her work. This has been on my audible wish list for over a year - thanks so much for the reminder. I've never listened to Jonathan Pryce, but loved the sample. It's the perfect time of year to listen! I read this one a couple of years ago and liked it, but didn't love it. I wonder if the audio would have helped. So true about the fact that DuMaurier is not a romance author. There is one cover of Rebecca that makes it look like a romance novel. I'm not sure what the publisher's were thinking as it's targeting the book to the wrong set of readers. Whenever I read a classic, I try to settle myself in for a slow and pleasurable read...and I've just about decided that audio may indeed be the way I need to experience more classic literature...it's already slower so it's a win-win. The narrator makes the difference with any audio for me though, no doubt. I have Rebecca on a shelf somewhere and need to get it down. I'm glad you mentioned reading/listening to this one first! I have had this book on my shelf forever, and have scarcely given it a glance. Now I know that I need to read this one, or preferably listen to it. It sounds like it was amazing, and I need a little bit of that right now. I will get to this one first, and then on towards Rebecca. Nice insight today, Natalie! Okay, I need to get this on audio book now -- I adore DuMaurier but hadn't considered how great it would be to 'hear' her stories -- and with Jonathan Pryce, yum! sounds awesome! i'm going to look for this. i loved rebecca- it's a classic, right?- and i need to read more by her. i have a book of her short stories and i've dipped into it, but this sounds wonderful! Adored Rebecca. Loved Rachel as well. I read it in print form and I lingered over several of its pages. I love the wickedness of Rachel. Hmm, I'm gonna have to consider this one. I'm always looking for outstanding audios, and since Rebecca is the only du Maurier I've read, I should branch out! And that picture of her with the cigarette is (unintentionally, I'm sure) hilarious. I love this author's work. You're right of course, she has a wonderful way of describing the lives and mannerisms of the wealth upper classes and such an excellent way of setting the scene. Jamaica Inn is also brilliant. I just adored this book when I read it! I even enjoyed it more than Rebecca which was completely unexpected. I love the idea of listening to it (and Rebecca) so I may go back at some point and do just that. I'm glad to hear that you enjoyed this one as much as I did!